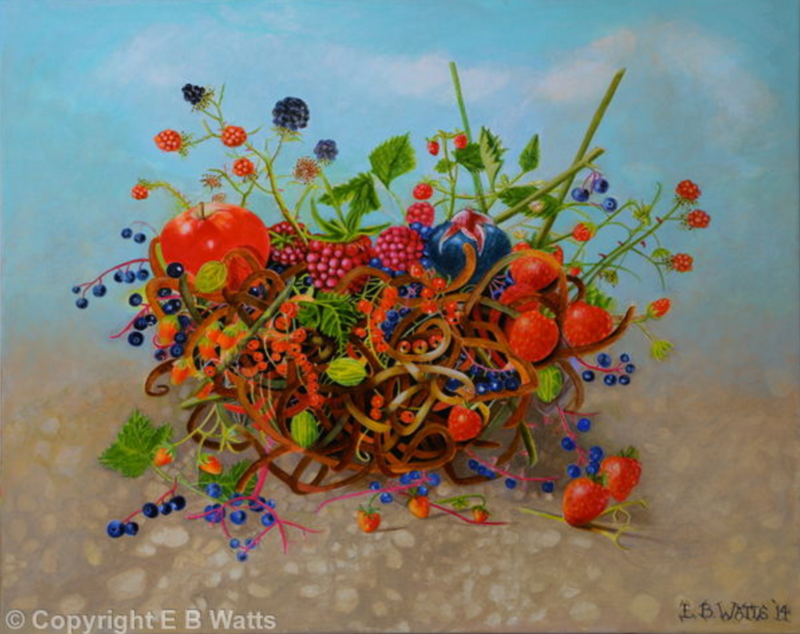 I chose this composition of small red fruits in contrast to the white vegetables. What consequently turned out was an autumnal feeling with rich reds and browns, quite the opposite to the white and rainbow colours. This is the second in my series of kitchen art.